Why the name Gospel of Light? The reason is simple -- i.e., what few people today realize is the fact that the purpose of our Gospels is to be a universal guide book for the disciples of TheWay to enter the Kingdom of God. As detailed on the web site http://GateOfEden.com , the teachings of both the Jewish holy men and mystics, as well as Yeshua (Jesus) and his original Nazirene Ebionite disciples, was to bring about that condition where the Kingdom of God would manifest in the life of the disciple. Thus, it was for this reason that the writings of the Jewish Mystics, as well as the Hasidic Rebbis, all warn that the Torah and other Old Testament scriptures have a deeper meaning that is not apparent to the student of the written word: "Thus the tales related in the Torah are simply her outer garments, and woe to the man who regards that outer garb as the Torah itself, for such a man will be deprived of portion in the next world" (See No Jew Has Read The Torah) -- and the same is true with respect to the inner meaning of the Gospels (see The Christian Secret Doctrine). Such qualities as faith and belief in a truly spiritual religion have more to do with one's willingness to submit their lives to an adherence to the teachings and practices which are intended to bring about the spiritual transformation of the disciple. Thus, Paul had a far more extreme lifestyle than the ritual practice of the Law when he commanded: "Put to death, therefore, whatever belongs to your earthly nature" (Col 3:5 NIV). And it was this process of spiritual transfomation that modern Jews and Christians have today become totally alienated from that Paul had in mind when he spoke of the necessity to "…beat my body and make it my slave..." (1 Cor 9:27 NIV). Even Yeshua warned that "But I say unto you, That every idle word that men shall speak, they shall give account thereof in the day of judgment" (Matt 12:36 KJV). Each of us has the ability to prove our religious beliefs -- and we possess this inborn power, because God has bestowed it upon us as His Creation in His Image and Likeness. And if you truly desire to prove your beliefs, and to enter beyond the veil of the Holy of Holies of the Temple built without the hands of men that is within you, then you will begin the journey in TheWay by putting the concepts of the Gospel of the Nazirenes to work in your daily life. And while both the Old and New Testaments of the Bible are good, they both have been corrupted (see The Orthodox Corruption of The Scriptures), and the Gospel of the Nazirenes contains many teachings and spiritual concepts that are necessary to open the "narrow door" to the Kingdom within (Luke 17:20-21), and permit the disciple to gain entrance to the True Temple of God. What did the scriptures of TheWay look like before they underwent a massive editing and re-write by the Church of Rome? Did you know that the followers of Yeshua (Jesus) did not believe he was God? Did you know that the beliefs of the people of TheWay parallels those of Jewish Mysticism? They believed in the pre-existent soul that evolves to perfection over the course of many lives. They embraced the concept that the Fifth Commandment that states: Thou Shalt Not Kill, is applicable to not only all people, but also the animal kingdom which is portrayed as our lesser brothers. The followers of Yeshua were Torah Observant -- but not in the manner of the Sadducees and Pharisees whose carnal blindness caused them to see only the literal written word of the Torah -- but rather, they were Torah Observant on all three levels of being (physical, soul and spirit -- see The Law). In fact, it will come as a shock to most Jews and Christians today once they begin to realize that Yeshua did not condemn the Sadducees and Pharisees for any other reason than they sought only to fulfill the Torah physically, and failed to be Torah Observant in soul/mind and spirit. Moreover, the Gospel of the Nazirenes demonstrates that the sin of the historical Judas was seen in the fact that he attempted to bring about the conditions where Yeshua would fulfill the Messianic prophesies and inaugurate the Kingdom upon the earth -- failing to realize that the Kingdom can never come upon the earth, because it is within us (Luke 17:20-21). Thus, the sin of Judas is exactly the same as the sin of the majority of Jews and Christians today who look for the Messiah to come in the world, rather than within them. What the reader is presented with here on this web site is a synthesis of the original Gospel of the Holy Twelve which was published in 1870 -- with comparisons to the later edition which was published in 1998 -- in conjunction with my own corrections and commentary added to the text through hyperlink. You can purchase a copy of the 1998 translation by clicking on the image of the Gospel on the right. 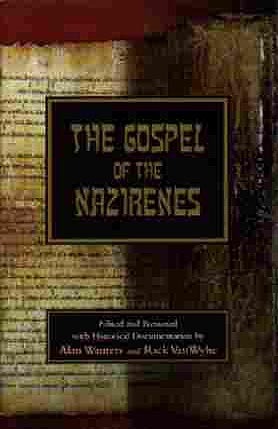 Introduction: Click to read the history and about the Gospel of the Nazirenes. 3 The Nativity of John the Baptist. 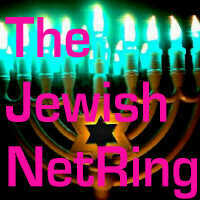 4 The Nativity of Yeshua the Messiah. 6 Childhood and Youth of Yeshua. 7 The Preaching of John the Baptist. 10 Joseph and Mary Make a Feast Unto Yeshua. Andrew and Peter Find Yeshua. 14 The Calling of Andrew and Peter. 15 Healing of the Leper. the Man with the Palsy. 16 Calling of Matthew. The New Wine in the Old Bottles. 24 Yeshua Denounces Cruelty. He Heals the Sick and Casts Out Devils. 30 The Bread of Life and the Living Vine (Part 1). 31 The Bread of Life and the Living Vine. Yeshua Rebukes the Thoughtless Driver. 33 The Shedding of Blood of Others Is No Remission of Sins. 41 Yeshua Gives Liberty to the Caged Birds. 42 Yeshua Teaches Concerning Marriage. 43 Teaches Concerning the Riches of this World, Washing of Hands and Unclean Meats. 48 Feeds One Thousand with Five Melons. Heals the Withered Hand on Sabbath Day. 49 The True Temple of God. 57 Concerning Little Children. Forgiveness of Those Who Trespass. Parable of the Fishes. 59 Yeshua Teaches His Disciples. He Finds Zacchæs. 76 The Washing of the Feet. New Commandment. The Eucharistic Oblation.